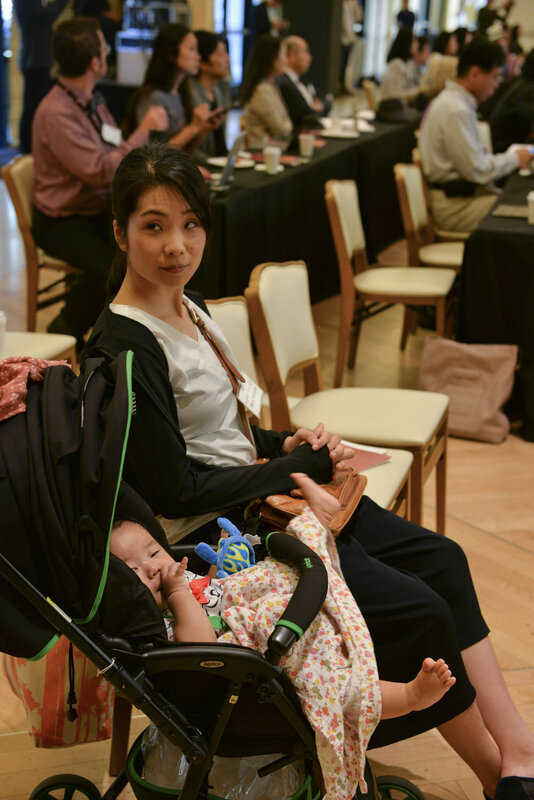 On August 9th the Stanford Silicon Valley-New Japan Project hosted the “Break Through: Women in Silicon Valley, Womenomics in Japan” conference. 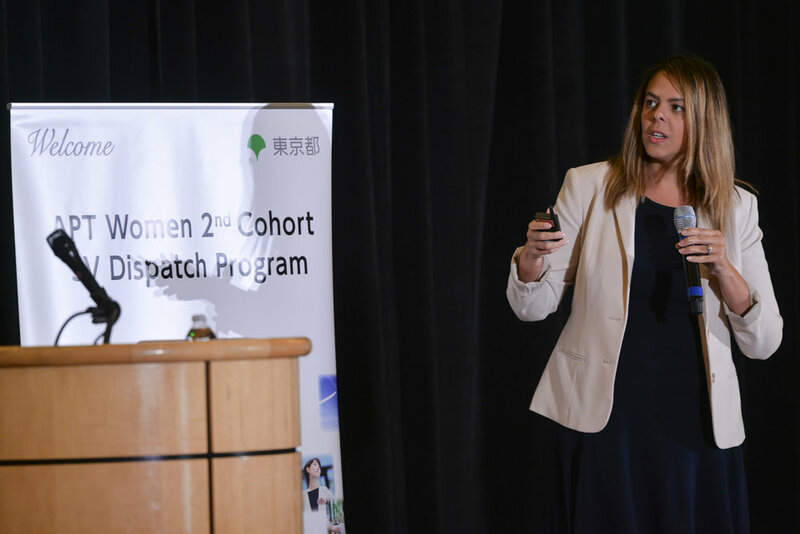 This conference was the second installment of a conference around issues of gender equality and women’s empowerment in the workplace in Silicon Valley and in Japan. 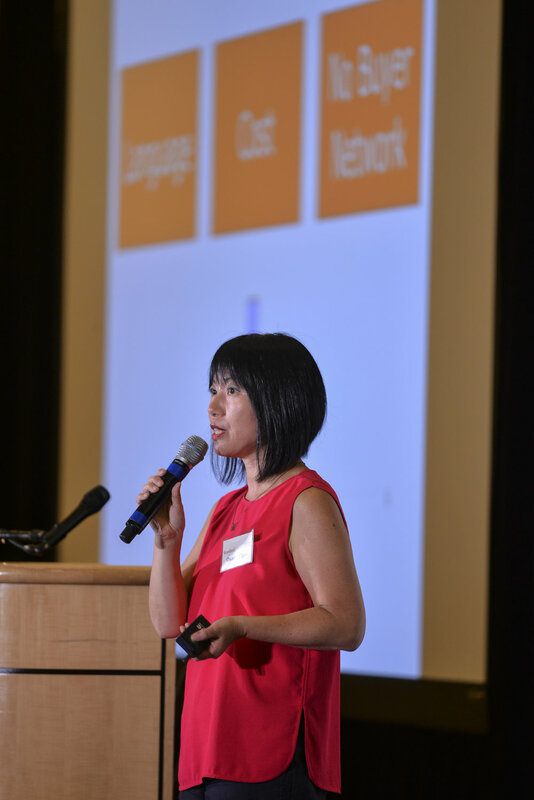 This year’s conference featured an all-female speaker list, and was focused on empowering women to build networks and skills and to receive inspiration. Our speakers spoke candidly about the challenges that women face in the workplace, and about the progress that has been made. For the first talk of the day, we were joined by Chief People Officer of Zymergen, Judy Gilbert. 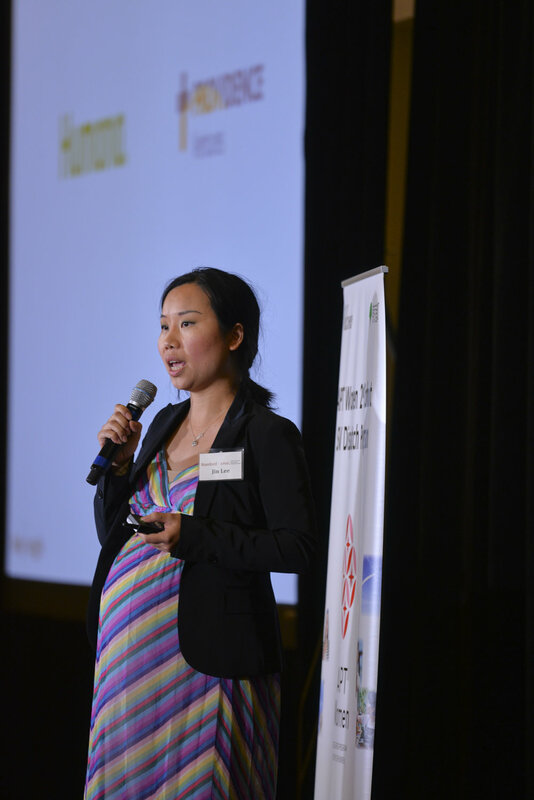 Zymergen, an Emeryville-based company that uses information technology to engineer microbes, has been praised in the media by publications such as Vanity Fair for its inclusive hiring practices that have led to the recruitment of more women technologists. Gilbert spoke about the importance of building teams that are both diverse and inclusive and how Zymergen has managed to recruit and retain talent by focusing on the entire lifecycle—from building a culture, to attracting talent, to developing that talent, and challenging that talent. Yuko Osaki, who is the Senior Planning Officer to the Promotion Division at the Gender Equality Bureau of the Cabinet Office, spoke next about the challenges that the Japanese government still faces in terms of furthering labor force participation of women and helping these women succeed in their careers. Japan is still quite behind in terms of gender equality, receiving the worst gender equity ranking of the seven major world economies last year at 114th. However, the Japanese government has made deliberate steps to try to bridge this gap with the implementation of policies to expand child care and free educations services, and encouraging political parties to work to increase the number of female candidates. Osaki also spoke about the influence of ESG investing, and the impact that the adoption of the MSCI empowering women index in company has had in promoting women’s advancement in the workplace. Our two fireside chats featured a conversation between CEO of Jasperi Consulting Frances Colón and Chief Technology Officer of Nest, Yoky Matsuoka, and a conversation between Assistant Manager of the Mitsubishi Corporation’s Silicon Valley branch Haruko Sasamoto, and Claire Chino, President and CEO of Itochu International Inc. 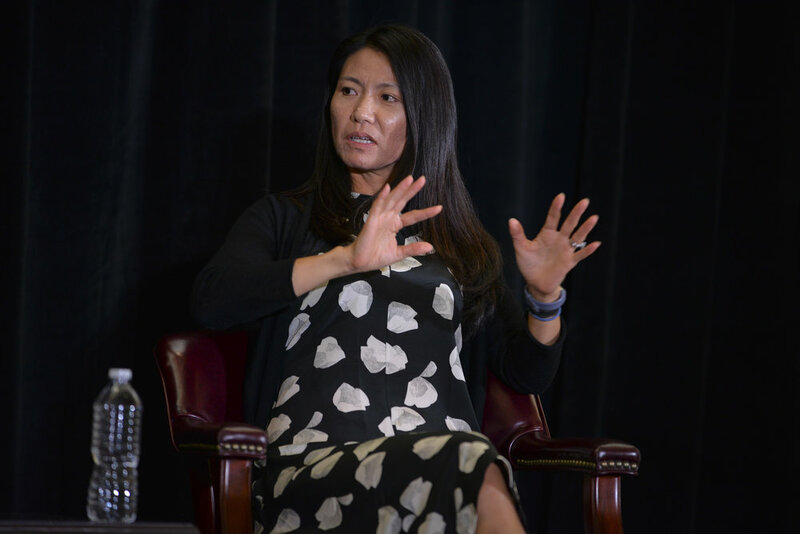 Although Matsuoka has had much success in a career that has been marked by large transitions, she revealed that fear and finding the techniques to confront it have been a large part of her success story, and that finding work-life balance isn’t something that has come naturally. Matsuoka also talked about the different ways in which impactful work and innovation are achieved in startup settings versus at tech giants. The value of mentorship and role models was a key theme that emerged from the second fireside chat. Chino revealed that there have been several key persons in her life who have inspired her and challenged her, but her role model is not one super person, but rather a non-existent person that is the amalgamation of inspiring qualities that she sees in various different people. She also discussed how Itochu, as a large, well-established Japanese firm has responded to disruptive innovations in the industry, and the new policies that the company has implemented in order to create a corporate culture that boosts efficiency and productivity, as well as being more friendly for women and employees with families. 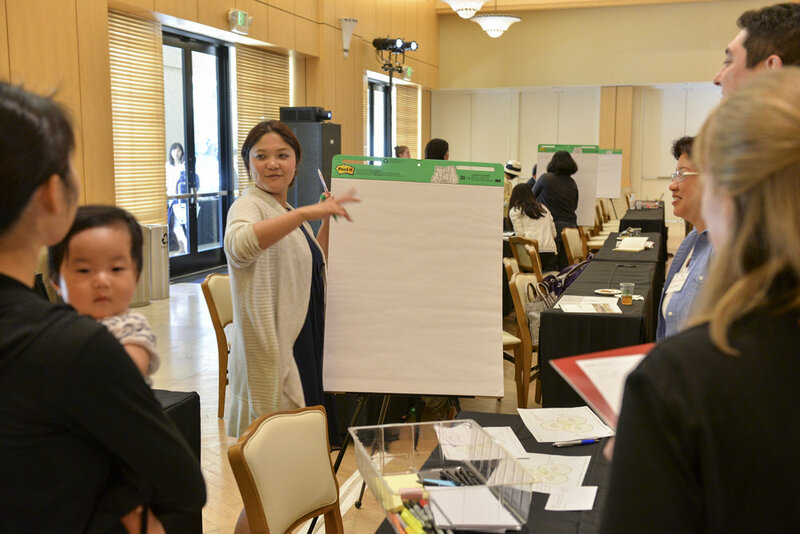 In the afternoon, we showcased 9 innovative startups founded by women entrepreneurs in Japan and Silicon Valley. 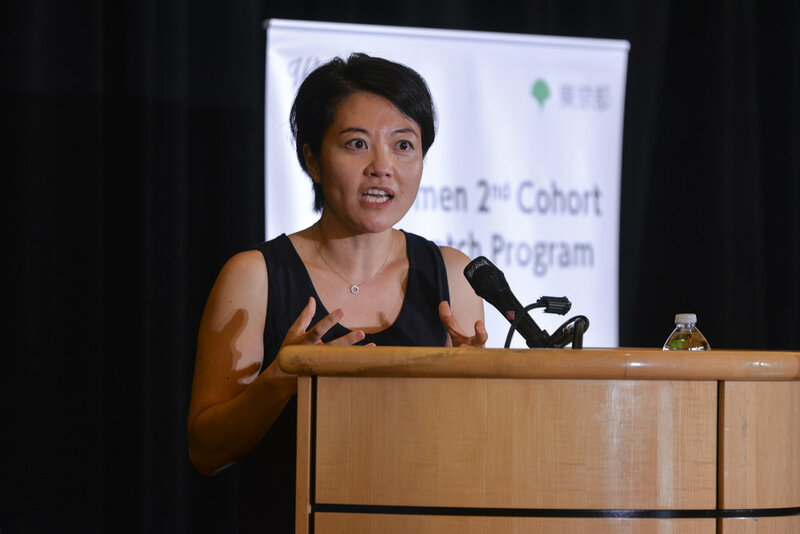 The first group of startups were founded by Japanese women entrepreneurs participating in the Acceleration Program in Tokyo for Women (APT), a women-focused acceleration program for women entrepreneurs run by the Tokyo Metropolitan government and Tohmatsu Venture Support. The startups showcased were: Aglobe Co., an online platform that connects Japanese SMEs to overseas buyers founded by Osami Ogai; high-end Ethiopian sheepskin leather brand, Andu Amet founded by Hiroko Samejima; Beautiful Smile, a company that is working to eliminate food waste by allowing manufacturers to sell nonstandard food products founded by Mitsuki Bun; handmade knitting brand that helps to promote the work of senior citizens and housewives, Beyondthereef founded by Kae Kusunoki; and online crafts workshop discovery platform, Craftie, founded by Yonggum Kang. We then showcased four Silicon Valley startups: social music streaming platform Playlist founded by Karen Katz; the Reach Mama Network that creates opportunities and development for moms of color, founded by Karina Cabrera Bell; non-profit education social venture focused on girls' education in STEAM fields, SKY LABO, founded by Rie Kijima; and longitudinal preventative health platform for tracking developmental delays, BabyNoggin, founded by Jin Lee. 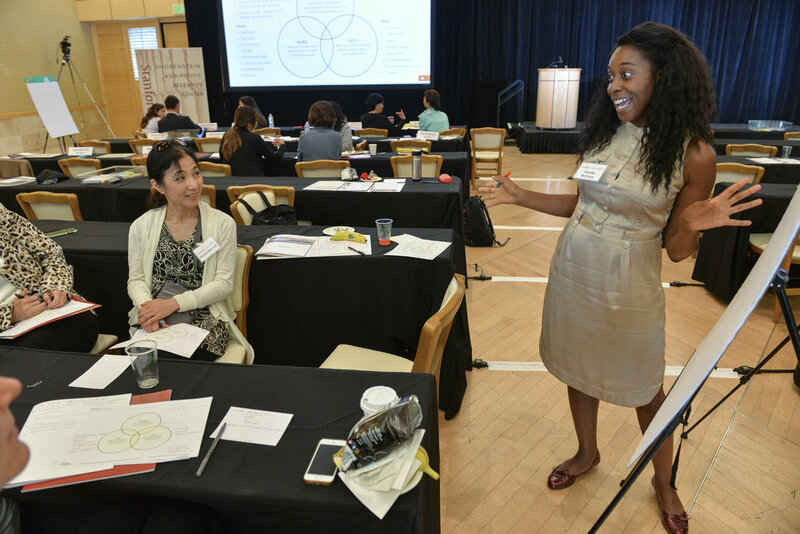 Conference participants concluded the day by engaging in a participatory exercise facilitated by co-founder and chief creative officer at San Francisco-based digital agency SocioFabrica, Sylvia Vaquer. This exercise was designed to help attendees identify and leverage their personal brands to effectively lead and get results. 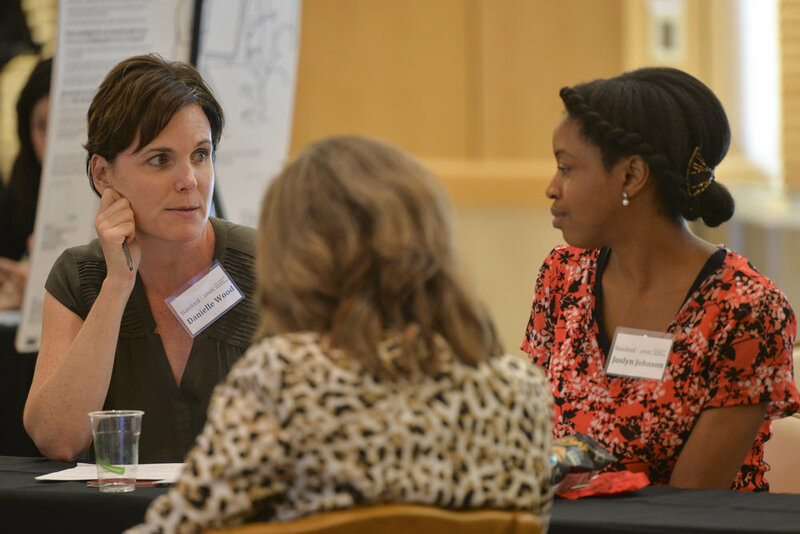 Using Design Thinking as a framework, attendees worked to identify personal strengths, skills, and unique differentiators and find strategies to effectively communicate these and leverage them in the work environment. A huge thank you to the Acceleration Program in Tokyo for Women (APT) organized by Tohmatsu Venture Support and the Tokyo Metropolitan Government for their support, and thank you to our speakers and our conference attendees. A longer conference report is forthcoming.